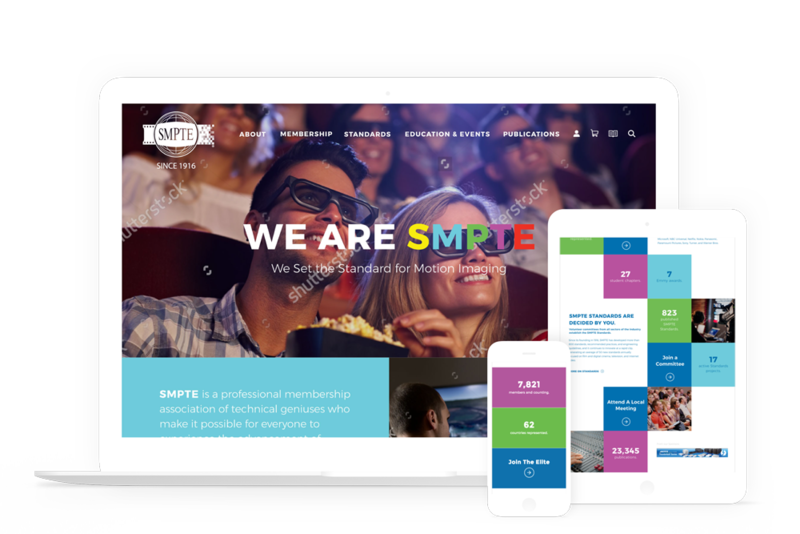 SMPTE is the leading technical society for the motion picture industry; they have been working since 1916 to provide international standards to guide the field of motion imaging. We helped them restore and rebuild their Drupal and CiviCRM instances, and have provided ongoing development, support and maintenance ever since. We recently brought their membership sales, library subscriptions, merchandise and donations into one unified Drupal commerce store. We also developed integrations with both their digital standards library at IEEE and the Kavi Workspace. In 2017 we launched a redesigned home page.